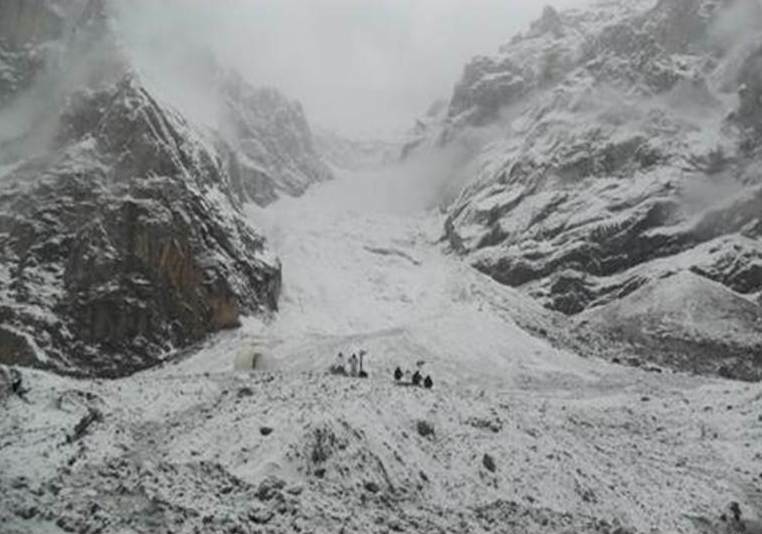 SKARDU: Two more bodies of martyred soldiers were found at Gayari sector of Siachen on Tuesday, bringing the total number of bodies recovered so far to six. 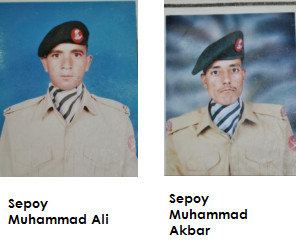 The martyrs were identified as Sipahi Mohammad Akbar and Sipahi Mohammad Ali. Earlier, the body of an army official, Major Zaka-ul-Haq was also recovered along with other martyrs. 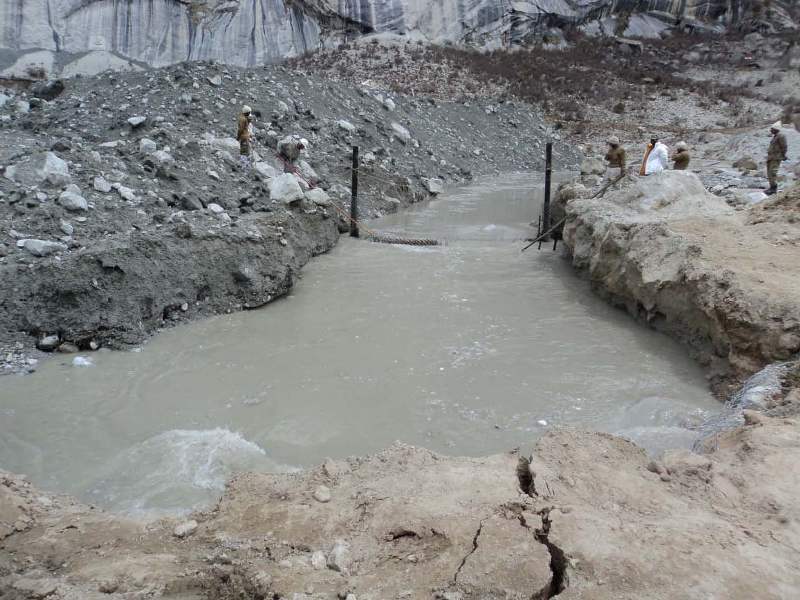 It may be mentioned that 139 soldiers, including some civilians of 6 Northern Light Infantry Battalion, were buried under a huge snow slide on April 7 in Gayari sector near Skardu. 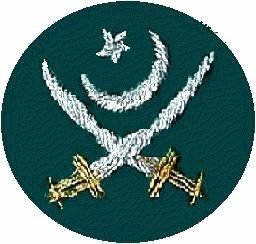 The Pakistan Army had declared all the victims of Gayari as ‘Shuhada’ (martyrs). Aspects related to socio-religious dimensions / implications, requirements to initiate the process of documentation, and reduction of the sufferings of the bereaved families made the Army to take such a step. Clearance efforts continued round the clock at Gayari Sector. Simultaneous efforts are being undertaken to tackle effects of water on the site in the shape of pondages, cutting and crevasses. The water has started draining and has resulted into quick reduction of water level in the lake to the tune of 27 feet. Excavation work has resumed its full pace despite difficulties posed by seepage of the water at the sites, hazards of crevasses / cutting by water and sinking effects for plant equipment. Meanwhile during physical inspection of the area, some equipment was found. A view of water course after clearance efforts at Gayari Sector. A deliberate and consistent rescue operation is under way at Gayari, to search the missing soldiers. 12 small slides were triggered in the vicinity of the Gayari site from adjacent mountain. However due to limited extent no damage occurred. Work on Restoration and deepening of Water Channel is being carried out to facilitate drainage of the water from excavated sites. Water level is receding at the site now. Mr David Petlay, Professor of Institute of Hazards and Natural Calamity at University of Durham UK alongwith representative of NDMA and Professor Khattak ex NUST visited Gayari site for technical study. At the moment 49 Engineering plants and a total of 371 persons are employed on search operation. Army has employed all possible efforts/manpower for rescue activities at Gayari Sector since last one month inspite of harsh weather conditions. The excavators work at seven sites in is progress with full pace and restoration of water channel is also underway round the clock. A nonstop, deliberate and methodical Rescue Operation, supported by all available resources is under wayArmy has employed all possible efforts/manpower for rescue activities at Gayari Sector since last one month inspite of harsh weather conditions. Gayari (Siachen): Chief of the Army Staff (COAS) General Ashfaq Parvez Kayani’s reiteration on Thursday for more confidence building measures (CBMs) between Pakistan and India seemed more intended for Indian ears than the former. In a way, Kayani’s third visit to Gayari where 139 men of the 6th Northern Light Infantry were buried alive in an avalanche on April 7 indicated a CBM of sorts. It was the first time that an Indian journalist Aneeta Joshua of daily The Hindu, was taken to a forward position that is a mere 3.5 miles away from combat posts at Siachen. She was barred from visiting even the twin city of Rawalpindi in the last two years since she had been posted in Islamabad. In the changing circumstances, Aneeta was allowed to travel the entire breadth of Gilgit-Baltistan that her country disputes as part of Pakistan. 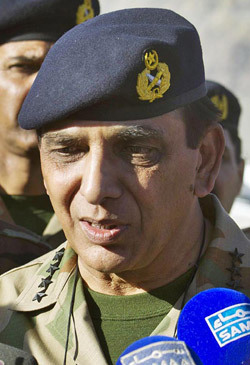 Chief of Army Staff, General Ashfaq Parvez Kayani during his visit to Gayari on Thursday with father of Major Zaka, who came under avalanche on 7 April 2012, talking to journalists. The COAS chose the occasion to also reiterate his call for demilitarisation of Siachen. In Pakistan, he said in response to a question, the idea got across-the-board support. ìIt has been received positively in India also except with some ifs and buts. That is understandable because there have to be CBMs between the two countries and then we have to move forward. Let’s hope we can move forward. He referred to a peaceful resolution of the issue for the third time in a month but pointed out that there had been a regression in the talks after India shifted its goalpost. He said the two countries were close to a resolution in 1989 by agreeing to authenticate [ground positions] in the northern most point of the LoC (technically known as NJ 9842). However, India has changed phraseology by asking for demarcation of the Line of Control (LoC) at the last defence secretary-level talks on Siachen. He re-emphasised that he was all for a peaceful resolution but short of that we will do what we are supposed to do — fighting, that is. The presence of Aneeta Joshua, it seemed, was to convey the message to her one billion countrymen back home. She may be the only Indian to see this picturesque part of Pakistan that boasts four out of the top 10 highest peaks in the world, not to mention the theatre of war from behind the enemy lines. Wearing the specialised white gear worn by soldiers in this oxygen-deficient environment, where more people die of frostbite than combat, her inquisitiveness was palpable. She asked a Pakistani colleague if she could take a few photographs. Well, you have not been stopped. She was not even stopped from sitting with her Pakistani counterparts in the official meeting that had the cream of Pakistan Army. The COAS himself opened up the discussion describing the harsh circumstances in which soldiers had to operate. He said he could not help sharing his thoughts as he had served as the GOC and then corp commander in-charge of that area. The local commander could not resist saying that the confidential briefing was meant for the chief and he did not expect journalists (let alone an Indian one) to be there. It turned out to be a good presentation but was hardly the material that one cannot Google. It was an awkward situation for the troops if not shocking to find an enemy within their midst. An army officer almost fell in disbelief when he realised in the middle of a conversation about the combat situation that one of his audiences was an Indian. A soldier was asked if he had seen an Indian before. ìNot on our side of the border, he responded frankly while staring at Aneeta as if she was a different specie. Chief of Army Staff, General Ashfaq Parvez Kayani visited Gayari, today, to see the progress of rescue efforts. COAS was briefed about the progress of ongoing work including the efforts to create a water course to safely drain the lake formed by blocking of Gayari river by the avalanche. The satellite data link also became operational today, which will allow real time video monitoring of relief work from GHQ. COAS remained with the troops for some time and lauded their motivation in face of tough conditions and extreme weather. He appreciated their resolve to upkeep Army’s proud tradition of not leaving a man behind, until humanly possible, regardless of cost. COAS was also accompanied by Commander Rawalpindi Corps and a media team, invited to witness firsthand, the ongoing activities at disaster site.